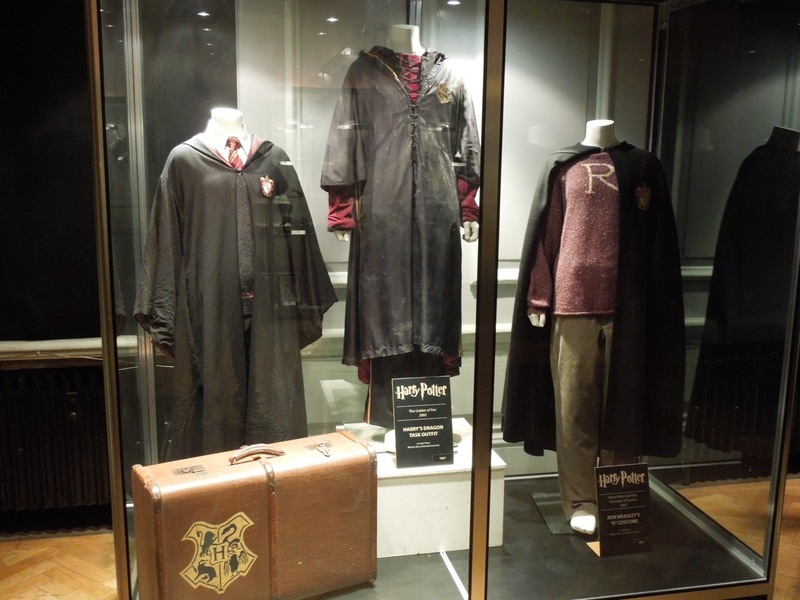 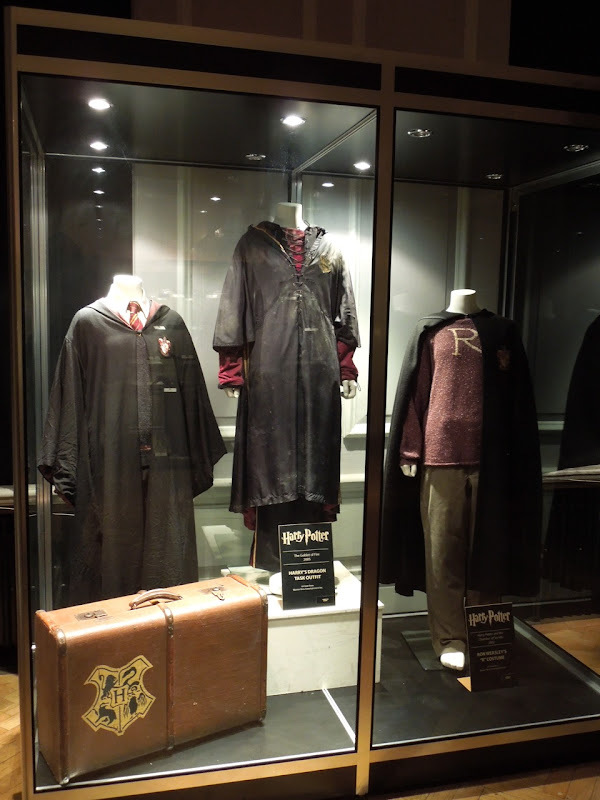 If you're a Harry Potter fan, then you'll love these original costumes worn by the stars of the phenomenally successful fantasy movies on display at the London Film Museum. 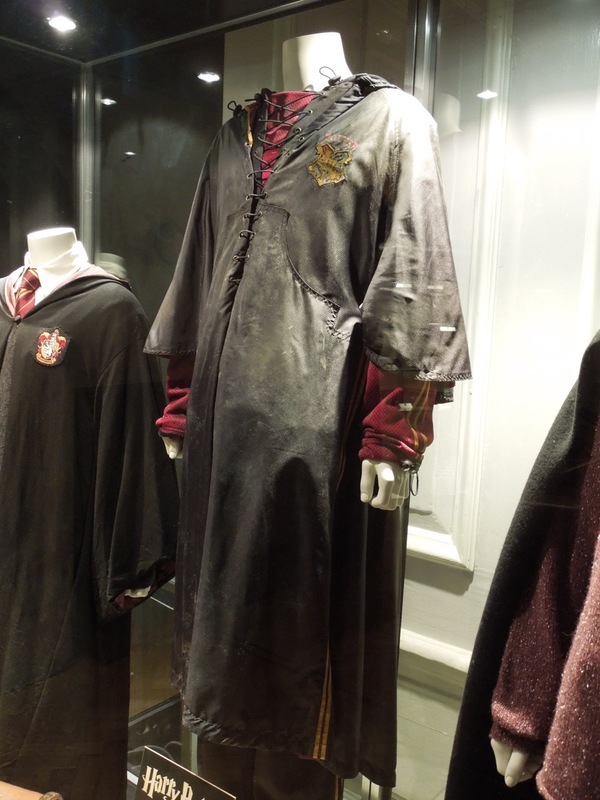 If you like these original costumes, be sure to also check out the Harry Potter props on display with them like the Triwizard Cup and Golden Egg props from The Goblet of Fire, plus Hogwarts spell books and broomstick props. 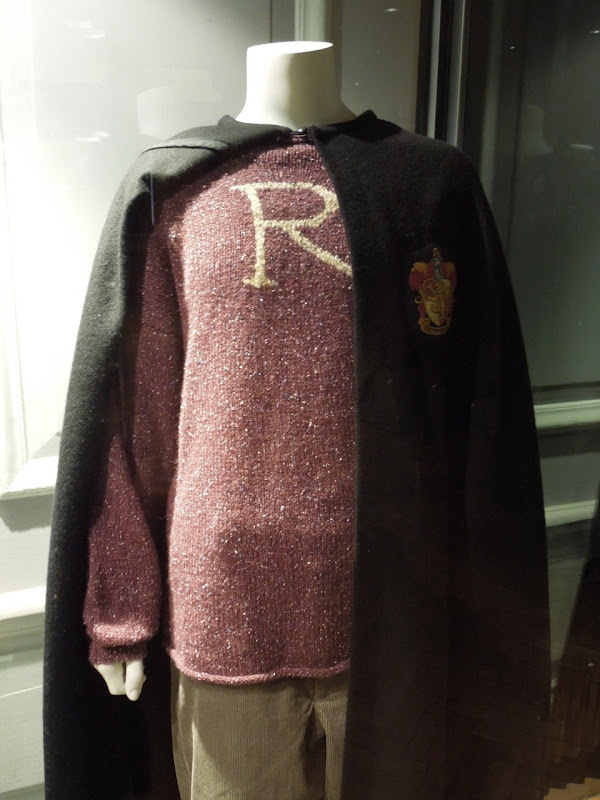 Here's a closer look at 'Ron Weasley's' knitted sweater, made by his mum 'Mrs. 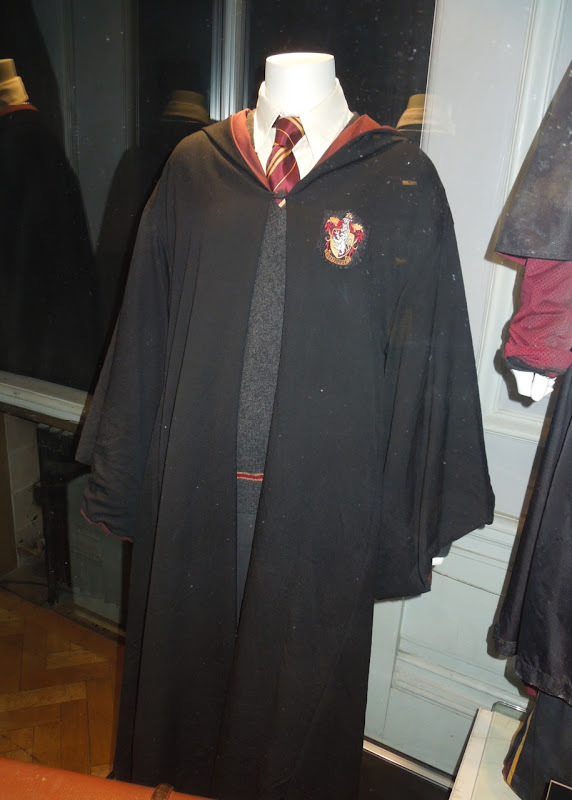 Weasley' as a Christmas present, from the second Harry Potter movie. 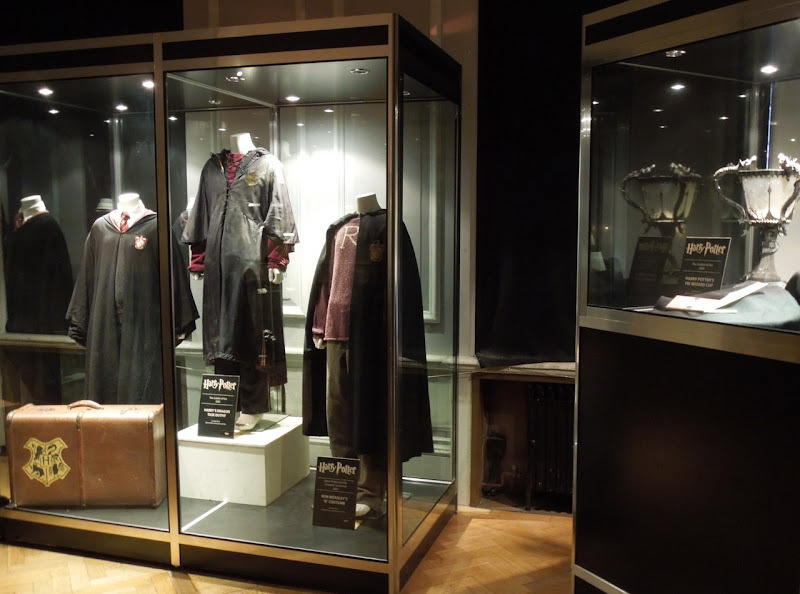 Lindy Hemming was responsible for Costume Design on The Chamber of Secrets and you can also see her work on the Bat-suit in Batman Begins. 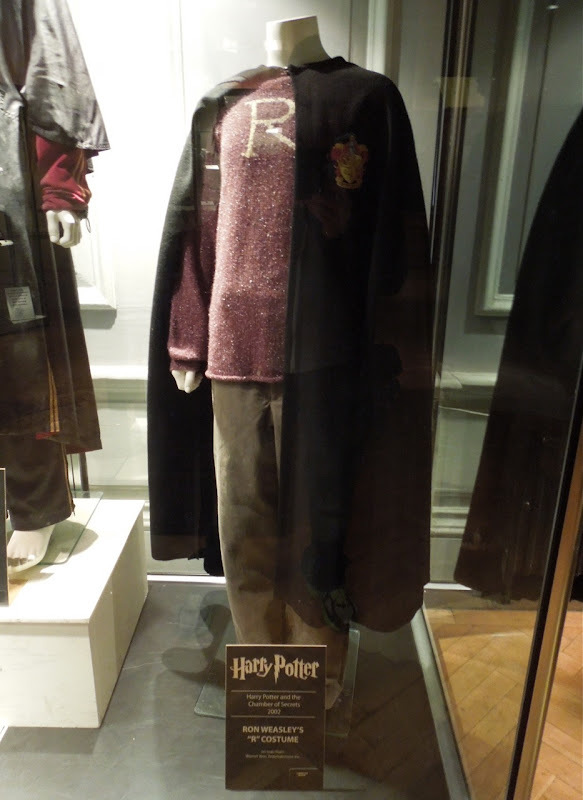 Also on display with Ron's costume was his best pal Harry's 'Dragon Task' outfit from the fourth movie installment, Harry Potter and the Goblet of Fire. 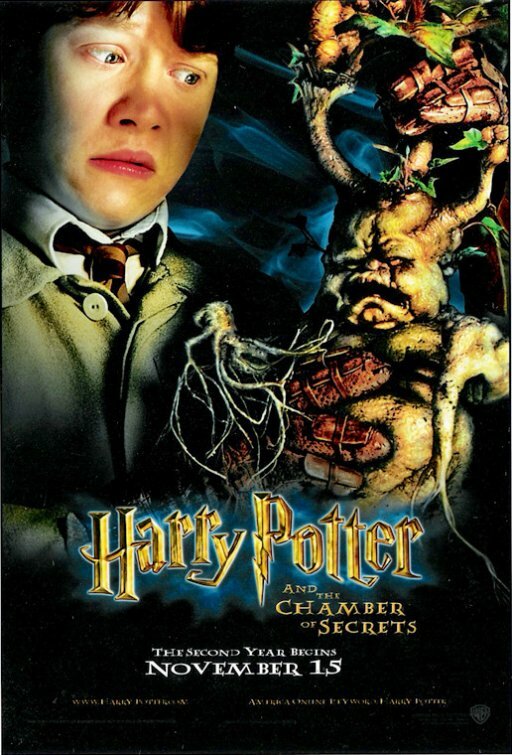 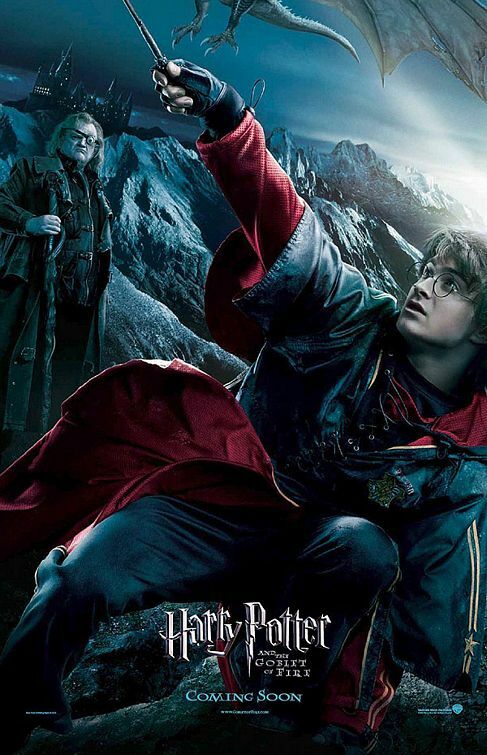 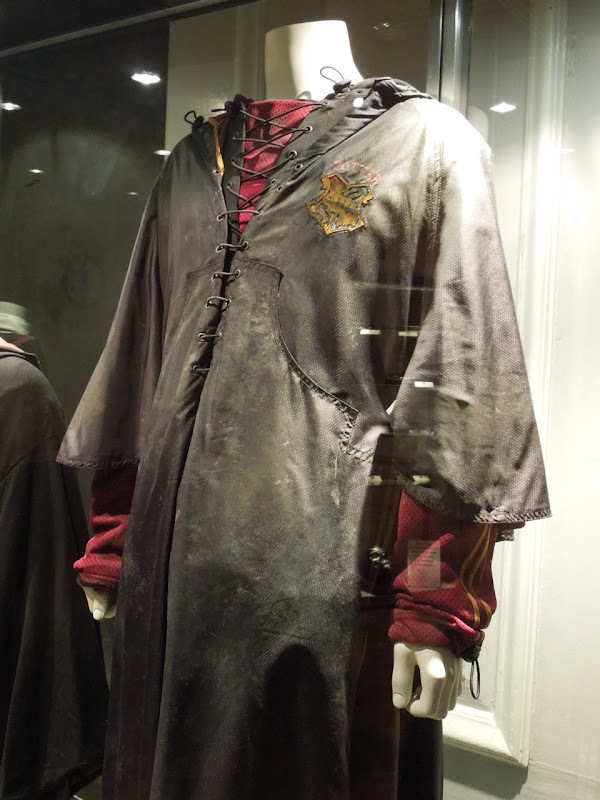 Daniel Radcliffe wears this costume as the titular wizard to retrieve the Golden Egg from the dragon's nest as his first task in the Triwizard Tournament. 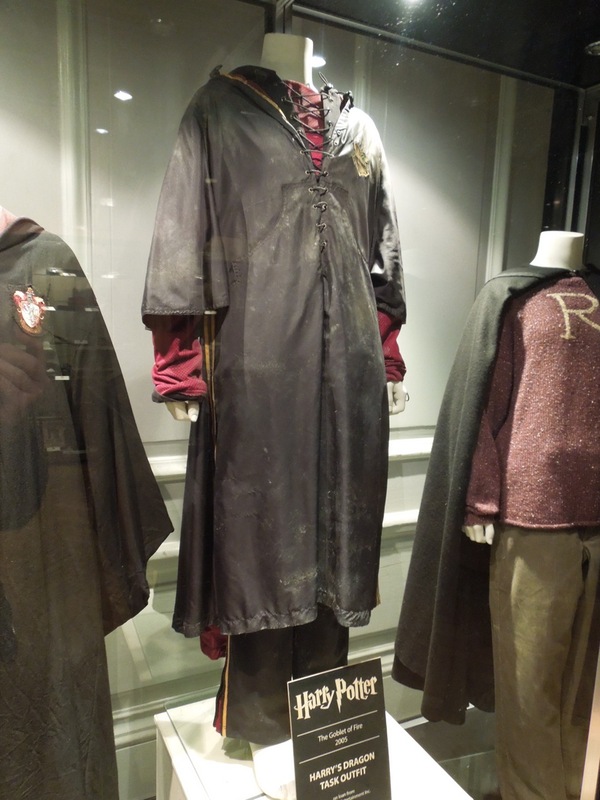 This costume was designed by Jany Temime who worked on the last six movies in the Harry Potter saga, including these original Harry, Luna Lovegood and Dumbledore costumes from The Half-Blood Prince. 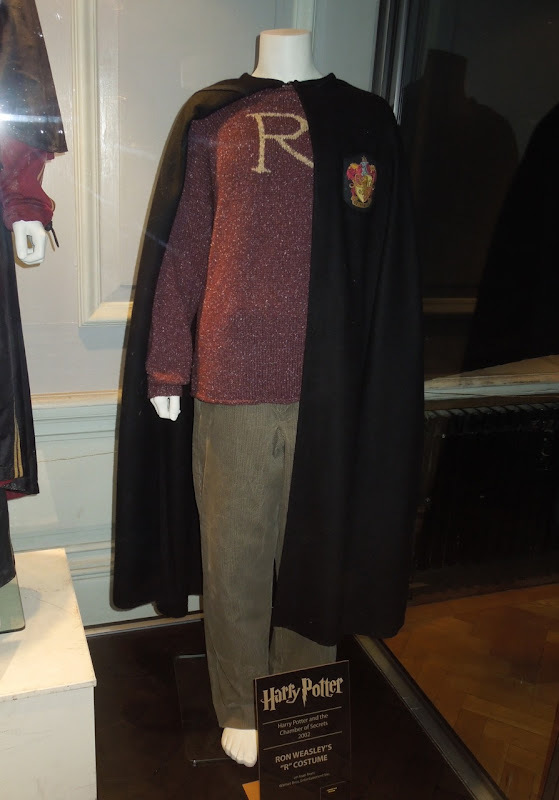 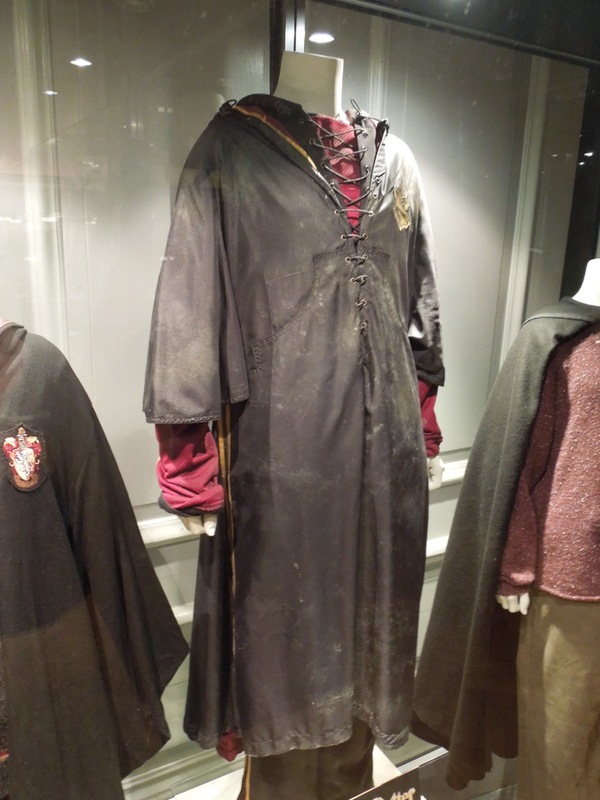 In addition to Ron and Harry's costume there was also this Hogwarts Gryffindor school uniform on display at the London Film Museum on May 15, 2012. 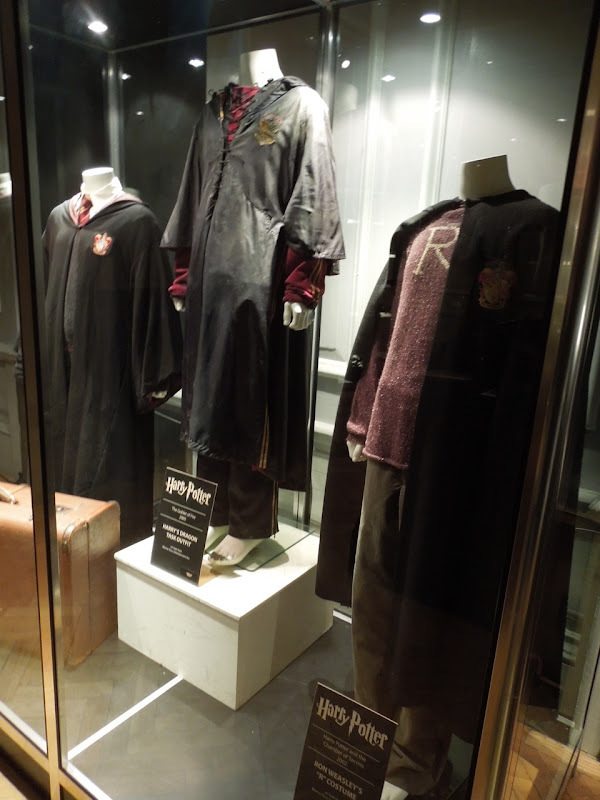 There wasn't a sign, so I'm not sure if this is another of the boys costumes, or if it's meant to represent 'Hermione Granger', the last of the three main characters and friends.